There is no better way to prove the systems effectiveness than to see the results for yourself. As we have designed, developed and manufactured the system from our facility in the UK we are 100% confident you will be happy. The Money back guarantee is backed by our 33 Year trading history. Extension to the period must be agreed in writing before the product is shipped. What do you mean by 100% Satisfied? We understand that every person has different expectations, boats, hull types and locations. If you are not happy that it has performed as well as YOU would have expected we will refund your money. We will accept it back no questions asked. Why do you say 6 Months ? Previous customer have noticed a difference within 6 Months, Spring and Early summer are also good times for the algae, as the water starts to warm their natural environment is restored and they get to work settling on your boat. We are flexible on the time line to ensure you are happy. What if the system has a fault? All of our systems come with a 2 Year return to UK base warranty, this is not effected by the trial. In the unlikely situation that a fault does occur simply contact us and we will arrange to replace you unit. Why is Installation Kit Non-Refundable? How will the money be returned? It will be paid back to the credit / debit card you made the payment from. Who is this deal aimed at? It is aimed at people who have thought about the system but either feel that there is not enough evidence or that they don’t know enough people who have it to actually go ahead with the purchase. 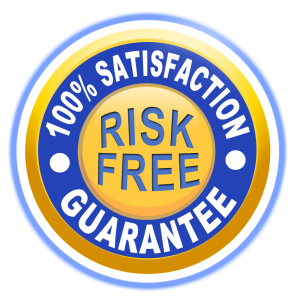 The 100% Satisfaction guarantee takes all of the risk out of the purchase, allowing you to see the results with your own eyes. But if it doesn’t work it has cost me £75 ? Without the offer or if you were to purchase system from one of our esteemed competitors you would have to pay full price to find out if it works or not. With our system we are so confident it will reduce the fouling that we are prepared to put our money where our mouth is and offer the trial. There is no reason why if correctly installed and power is available that the system will not work. 40Ft Sailing Boat – Buy the SonicShield III for £1198.80 with free shipping. Install the system to your boat using all of the equipment supplied. If after 6 months you are unhappy, you will need to return the control unit, transducers and power supply unit. On confirmation of receiving the goods in working order we will process a refund of £1123.80 to the credit / debit card the payment was taken from.